With increasing awareness for SIP abacus and Brain Gym programme especially for the overall development of children SIP Academy India Pvt. Ltd was established. In an interview, Dinesh Victor, Managing Director, SIP Academy India shares the success story of the company. Abha Garyali (AG): Share with us the inception, growth and success of SIP Academy India. 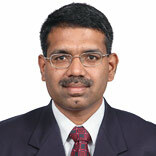 Dinesh Victor (DV): SIP Academy India was incepted in August 2003 with the SIP abacus and Brain Gym programme. Since its inception, SIP has brought into its fold Global Art, MI Kids, AMAL and Orator, and is spread across 19 states with 650 franchisees. It is also present in Sri Lanka and USA. This indicates the success of our brand. Moreover, around 2,000 instructors have trained more than 1.75 lakh children in the last seven years. AG: What inspired you to start SIP Academy? When and what motivated you to take the franchise route for ‘SIP Academy’’? DV: Abacus as a concept was quite powerful to influence the mental potential of the children. I felt that this would equip Indian children to be at par with the global competition. The sheer motivation of helping children to do better and bringing in a revolutionary change in the next generation was the key inspiration. The SIP abacus and BG programme is marketed as a franchisee programme in other countries too. Franchise model is a proven model of operation to reach out to people in India at lower cost. AG: Do you face any competition as there are many players in the education sector? What strategies have you employed for handling competition? DV: Yes. There are competitors for each of our programmes. Consistently ensuring quality delivery of the programme resulting in significant improvement of the child’s skill levels helps in handling competition. AG: Do you think that franchising has played an important role in the success of the company? How it has done so? DV: Yes. Franchising is an ideal route to meet people who share similar values and goals. Without franchising we would have never have been able to grow to this size in such a short time. It has helped develop more opportunities for educated men and women and reach children across the country. AG: How ‘SIP Academy’ is different from other educational centres? What is its USP? DV: The first major difference is that we do not train children for school academics, which is the largest segment in educational centers. We train children to develop their mental abilities. Also we have structured systematic world class programmes which help train children. These are continuously up dated and improved. This is our USP. AG: How many franchisees do you have and in which cities in India? What are your future plans for expansion? DV: We have 650 franchises across 19 states spread across 18 cities in India. Our expansion plans are to focus on tier II and III cities of these states. AG: What are the qualities and qualifications that you look for in your franchisees? How much investment is required by aspiring franchisees? DV: Ideal profile of the people to become our franchisees include aspirants who love working with children, willing to work on weekends, and are passionate to deliver SIP’s programmes to make a difference in children. Investments range from Rs three lakh to 75 lakh for various programmes. AG: What support and training do you provide to your franchisees? DV: Franchisees receive business training, apart from the programme training. The franchisees are supported with regularly up dated curriculum, marketing support and up gradation. AG: What are the challenges that can be faced by a franchisee of SIP Academy? How can they overcome these challenges? DV: In education franchises business, two key challenges are – getting new children to join the programme and ensuring that these children continue to stay in the programme to complete the levels. One common solution is ensuring proper delivery of the programme to students which will result in more referrals. This has been true in SIP both for franchisees and new students. About Us: Desire Beverages, is one of the leading Manufacturer &..
About Us : Bubblegum furniture, established in 2015, is a concept..
“I Believe in Developing Recipes"..